Shayne Boyer: An Angular 2 and ASP.NET 5 SPA Template giving you the best tech now. Two of the technology stacks that are at the forefront and making a lot of noise are Angular 2 and ASP.NET 5. Angular 2, for obvious reasons, this is the next rev of Google's SPA framework. And just to highlight a few points, from my perspective, why I'm paying attention. ASP.NET 5, I have been talking, blogging and contributing to this project over the last 18+ months and I'm very excited of what it is already showing. At the Microsoft MVP Summit this November; Brad Green from Google presented on Angular 2, status of the framework, collaboration with Microsoft and things to come. Check out his presentation here. Next, Steve Sanderson from the ASP.NET team presented the Music Store application in Angular 2 and ASP.NET 5. Below is the full presentation from Channel 9. Based on Steve's talk I put together a basic template to use. 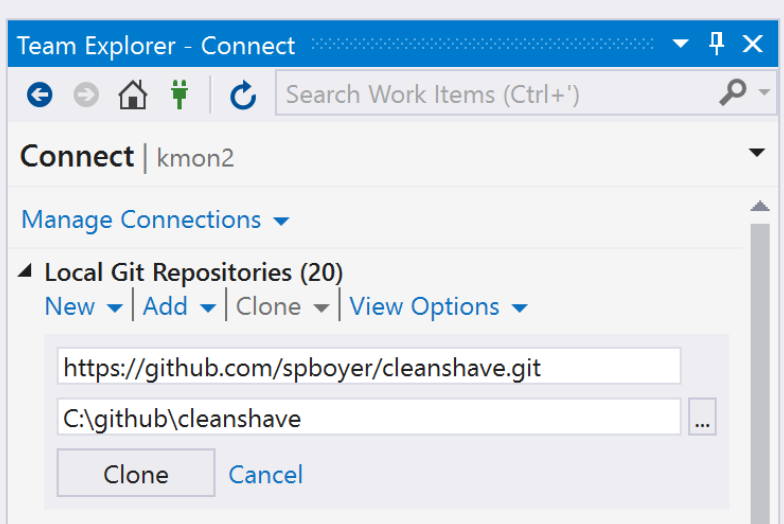 The code is available on GitHub (http://github.com/spboyer/cleanshave). These are the base items, a couple other tools used in the solution are nodemon and gulp. Install via terminal npm install nodemon gulp-cli -g.
The ASP.NET 5 application is nothing more than a simple web application, same format you could generate from the built in templates in Visual Studio (without Authentication chosen) or using the Yeoman generators. Views/Home/Index.cshtml file is the html file containing the host of the Angular application tag. Views/Shared/_Layout.cshtml is the shell html file. 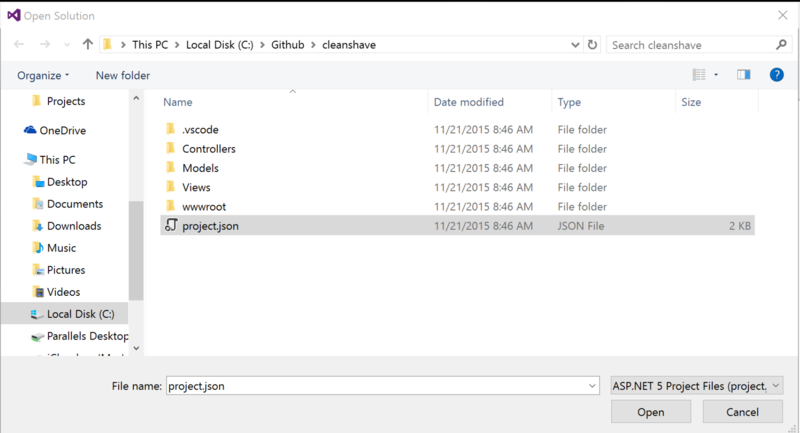 All of the Angular 2 code is withing the wwwroot folder, due to the fact that all static content under ASP.NET 5 is to live in the location referenced in the webroot property defined in project.json file. Because this is a starter template, it is a simple structure. If you want add a new view to the site, it's pretty simple. And finally add the link to the app.html page in the navigation portions of the template. If you have the site still running, the tsc compiler and nodemon will pick up all of these changes and all you have to do is refresh. (as a note make sure that you have the dev tools open in Chrome and cache disabled). To open in VS you need to open using the git connector. Then open the project.json file. Be sure to have the ASPNET 5 file/project type selected. get the latest push of the code, I had to add a Before Build step to have the gulp tasks run and build/compile the typescript and angular 2 project portions if you are just going to F5. Give this a look, comment, share. There is a need for a good SPA template for ASP.NET 5. If there are core features, let's put them in send a PR or submit an issue.